The new Jean Patou fragrance, Sira des Indes, is already available for sale in France. The notes of this fragrance inspired by India include the native Indian flower magnolia champaca, banana accord, bergamot, pear, red berries, cardamom, musk, amber, vanilla and sandalwood. The name refers to the South Indian dessert of cream of wheat, butter and sugar, which is usually served with banana slices on the side. It is also a tribute to Sita, the loyal queen from the epic Ramayana and the Sari. 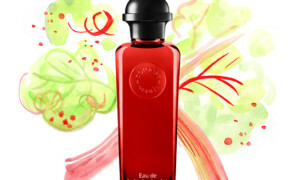 The fragrance is delicately fruity, with milky notes, sandalwood and champaca balancing out the subtle gourmand sweetness. There is also a welcome green touch. 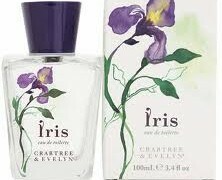 The parfum of Sira des Indes is also available, and as Neela mentions, it is very gorgeous and less green. 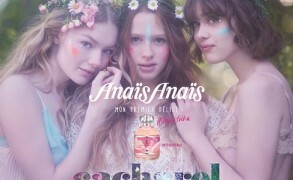 “It is a perfect spring perfume even for a non-fruity lover.” Thank you Neela for the news! Sira des Indes should be available in the States after March of 2006.
violetnoir: V, I really don’t like cream of wheat as it was forced on me for breakfast throughout my childhood. And while I love to eat them, bananas in a fragrance do not sound tempting. Joytika: This does sound like a very interesting scent. Being Indian, I also grew up with “sujja ki halwa” as a dessert and more often, something eaten after religious events.